For a number of years Andrew Diprose and some other cross-cultural workers in Rome have been working with migrants who come to Italy, many of them without status and thus illegal aliens. Many of them originate from Bangladesh, India and Nepal. Based on the experience of others who have operated or are operating similar centres in Central Rome and in New York they expect some South Asian and African migrants to transition from a desire to learn the Italian language and to integrate into the Italian culture, both of which are desirable initial outcomes of regular attendance of activities at the centre, to a desire to become disciples of Christ and integrate into local churches. Bright Hope World's Field Director first came into contact with Andrew Diprose, a New Zealander who studied at Laidlaw College in the 1990's and has been working in Rome since 1997, in around 2005. He has followed his work for a number of years and recently met him during their time together at an international missions conference in Rome in June 2015. 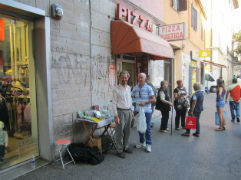 Currently Andrew and Bill (a veteran worker from Australia) operate a book table located on Via Casilina, in the low income residential area officially called Tor Pignattara. Here they meet people who are wandering about and hanging around or out on errands in the area in which they or others from their nation of origin live in. They engage them in conversation and befriend them. The initial contacts are great, but it is difficult to take things much further without somewhere to take them to talk, especially if there are sensitive issues to discuss. 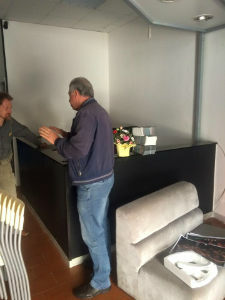 Subsequent to the June 2015 meeting in Rome, Bright Hope World made the decision to provide funding for them to rent a building, enabling them to have private space where they can meet with people in order to take things one step further. The main beneficiaries are the migrants, many of whom are illegal and with no status. These people traditionally have less rights than refugees. This is the basis of the ministry. On top of that is the influx of refugees flocking from the Middle East and North Africa. Once they are operating at full capacity they anticipate they will deal with about 15-20 people per day. If they operate for five days a week they would expect to see 300 people a month. Andrew Diprose has lived on the outskirts of Rome since 1997 and had a vision for a centre for refugees in Central Rome. His vision was implemented by Tim Uthmann, a missionary with International Teams and the IL Soggiorno Centre for Refugees was born in 2012 and is still operational. Whilst also discipling Italians and counselling Italian men one on one, Andrew focuses mainly on evangelising South Asian migrants, supervising and running the Agape Centre for Migrants in Rome. Their goal is to cooperate with other cross-cultural workers in Rome towards the twin goals of reaching Bangladeshi people in Rome and beginning to plant a multi-ethnic church in Rome. Andrew holds an M.A. degree from Columbia International University (SC, USA) in Inter Cultural Studies which was awarded to him in 2011 after years of part time study at the German Branch of Columbia International University in Korntal, Germany. In April 2015 Andrew visited the South Asian Community Centre in New York City and felt strongly there was a need for something similar in south eastern Rome. 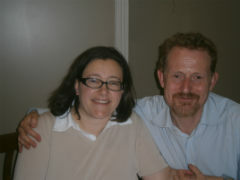 Andrew is married to Patrizia and they have two sons, Alan and Marco. The other key person is Todd Kincaid who is the joint leader of this project. In 2014 he came to Rome from the USA with his wife Christie and his two youngest children Adam and Madison. 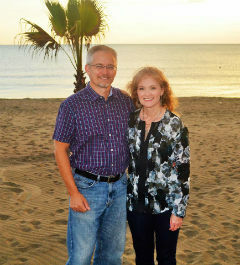 His previous life experience includes helping train Indian nationals for ministry through the Ethne Bible Chapter in India run by Indian nationals, pastoring a local church in the USA for more than five years, and being a missionary in both Haiti and Uganda. Having worked for a couple of years in both those nations and India he knows quite a bit about ministering amongst the poorest of the poor and about ministry to South Asians. The vision is to see migrants able to settle well in Italy and become productive citizens. Along the way they hope that some will become followers of Jesus and become integrated into local churches. The plan is to open a permanent migrant centre from which to minister to those needing assistance. Such a centre would constitute a safe and discreet location for one on one conversations with people they encounter on the streets of Rome and through the ministry of the book table. It could also be used for discipling of people who show an interest with the help of volunteers. It would operate three or four afternoons / evenings a week and they will also offer migrant services such as beginner's level Italian lessons. The funds sent from BHW will cover the rent of the new migrant centre.